Mother Joe Ann Meadows was born to the parents of the late Deacon Lewis and District Missionary Lucy Washington in Birmingham, Alabama. She was the youngest of three children. She was born and raised in the Church of God in Christ. Her first recollection of Jesus Christ was from her grandmother, Mother Anna Lamb. She was trained as a young child to know the scriptures and pray to God. She was educated in the Birmingham School System. She attended Tuskegee Institute and transferred to the University of Alabama in Birmingham (UAB) where she received an undergraduate degree in Political Science and a MA in Agency Counseling. She also graduated and received a Bible Certificate from the C. H. Mason System of Bible College. She was employed by Blue Cross & Blue Shield as a manger for 23 years. She accepted early retirement and began working in the church and travelling with her husband. Mother Meadows is a member of Emanuel Temple Church of God in Christ where she is the President of the Minister’s & Deacons wives Circle. She is a Sunday School Teacher, a member of the Christian Women’s Council, (CWC) & Business & Professional Women Federation. Presently, Mother Meadows is the Dean of the O. L. Meadows School of Ministry- (OLMSOM)-Headquarters Campus. On the State level, Mother Meadows is the President of the Minister’s Wives Guild. Nationally, she is a member of the Bishop Wives Circle. In that Circle, she is the chairman of the Patterson/Sherman Scholarship Committee. She has participated more than seven times on the National Women’s Day programs. 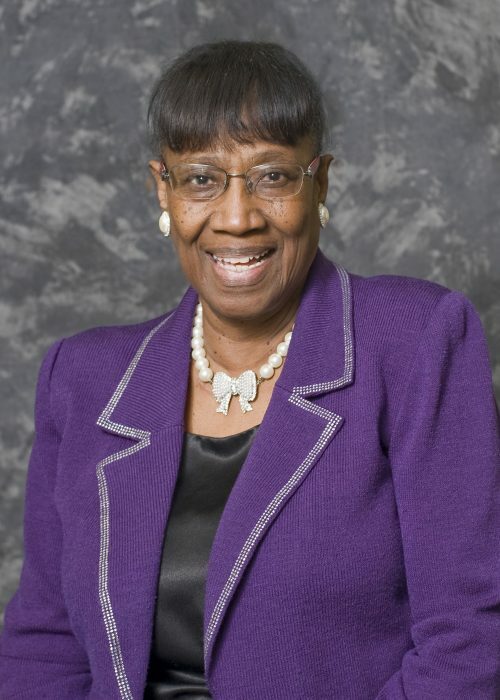 She has been married to Bishop Oscar L. Meadows, for more than 49 years. (He is the love of her life.) She is the mother of 2 boys and grandmother of 3 boys.